We all look up at the moon and wonder. And maybe dream. For centuries, the moon filled our imaginations. Eleven professional writers took those dreams and set original stories on moons scattered all over the galaxy. Yet, as the dreams of centuries, every story holds a human touch. From a mythical man fulfilling a childhood wish to a fantastic addition to Kristine Kathryn Rusch’s bestselling Retrieval Artist series, this volume of Fiction River allows you to travel to eleven different moons without leaving the comfort of home. 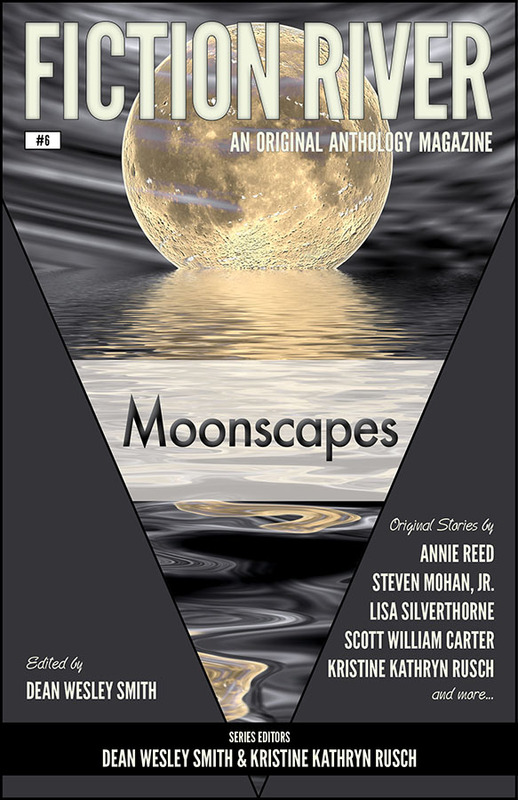 Original stories by Steven Mohan, Jr.; Annie Reed, Scott William Carter, Maggie Jaimeson, Ryan M. Williams, Matthew Lieber Buchman, Dean Wesley Smith, JC Andrijeski, Marcelle Dubé, Lisa Silverthorne, and Kristine Kathryn Rusch. “Hot Jupiters” by Steven Mohan, Jr.